ORTLIEB supports campaigns, associations and organizations having the objective to support the use of the bicycle in daily life. Especially in cities, the combination of a bicycle and public transport plays an important role in commuting. Whether you use your bike going to work, university or school, for shopping or leisure, cycling presents a flexible and sustainable mobility that is fun and good for you. The German National Bicycle Association ADFC (registered association) supports the consistent promotion of cycling by cooperating with clubs, organizations and institutions which support increased security and environmental protection in traffic. Since 1995 ORTLIEB has been a member of the ADFC sponsoring group, a collaboration of manufacturers of the bicycle industry financially supporting the ADFC’s activities. Since August 2015 Ortlieb is the first company in Northern Bavaria which received the certificate “bicycle-friendly employer” by the ADFC (German Bicylce Association). AGFS was founded in 1993 in North Rhine Westphalia for pedestrian and cyclist friendly cities, communities and regions. The general objective of this joint venture is to create sustainable, lively and welcoming cities where inhabitants are happy to live, and where individual motion in daily life and leisure time is a pleasure. 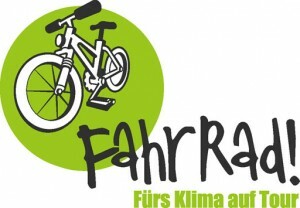 ORTLIEB has been a member of “enterprise bicycle” („Unternehmen FahrRad!“), an initiative inside the ADFC whose target is to promote cycling. BikeBrainpool is a circle of dedicated and well-known representatives of the bicycle industry cooperating beyond competitive and associative boundaries for the common goal of promoting cycling. ORTLIEB has been a member since 2001. CITY CYCLING (German: STADTRADELN) is a nationwide climate alliance campaign in Germany for mobilizing the interests of bicycle traffic. The campaign was founded in 2008. ORTLIEB has been a member right from the start, and provides as a prize a special version of the Downtown cycling bag exclusively manufactured for this campaign. 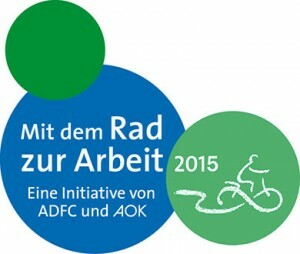 Cycling to work is a nation-wide German event organized by ADFC and AOK (German health insurance). During a defined time period everybody all over Germany is invited to regularly use his/her bicycle for commuting to work. ORTLIEB has been a member from the very beginnings in 2004, and provides prizes in the form of exclusively custom-designed bags with the event’s logo “MIT DEM RAD ZUR ARBEIT”. On tour for our climate: go by bike! A youth campaign of the federal German traffic association (registered association) (Verkehrsclub Deutschland e.V. VCD) for the protection of the environment, health and traffic safety. ORTLIEB has been an official sponsor since 2011, and has been supporting the campaign with prizes since the very start in 2006.